After the madness of Black Friday, and the local focus of Small Business Saturday, comes the savings of Cyber Monday, where the deals at online board game retailers start coming fast and furious. Amazon may not be the first online retailer you think of for board games, but it turns out that they have an awesome selection of best-selling games (many offered with Free Shipping! ), as well as video games , toys , and the incredibly popular new Kindle , which is not only an awesome e-reader, but is an increasingly-capable gaming device. 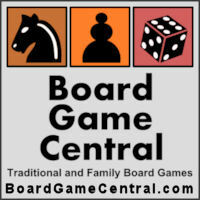 AreYouGame is a great place to find familiar and obscure board games, card games, party games, dice games, electronic games, family games, kids games, trivia games, word games, and much more. It is the largest game and puzzle store on the planet! Chesshouse is a great place to find all kinds of chess games, chess supplies, and chess educational materials. Receive carefully inspected, well-packed orders directly to your home, work, or as gifts to loved ones. Free shipping on all orders over $100.